Starting an online business is an exciting experience. You’re able to enter the marketplace in many instances for as little as the cost of a domain name. With such easy entrance, there is a great temptation to hang your virtual shingle without a solid plan. 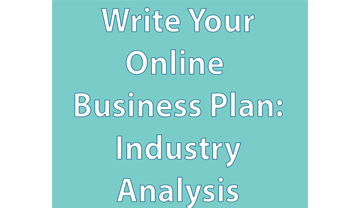 Writing a business plan for your online business better prepares you for success. The first part of every business plan is writing a great mission statement, an engaging vision statement, and a memorable tagline. Focus on who you want to connect with your mission statement. You must convey how the product or services available from your online business will benefit the person visiting your website. Using sincere, succinct words, explain why readers will choose to partner with you. Also important to the length, and tone, of your mission statement is what motivated readers to look for your website. 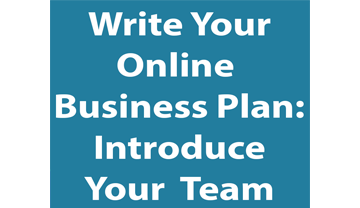 As you write down the purpose of your online business consider your website visitors’ time. No matter what industry, respecting your website visitors’ time is of utmost importance. Consider each of these elements to write a great mission statement. Writing a great mission statement is the foundation for writing an engaging vision statement. After writing your mission statement, you’re better equipped to prepare a vision statement for your online business. The mission statement tells website visitors what you’ll be doing. The vision statement describes how you see your company achieving the mission. Preparing an engaging vision statement involves placing yourself in your website visitors’ mind. Who cares about your vision? 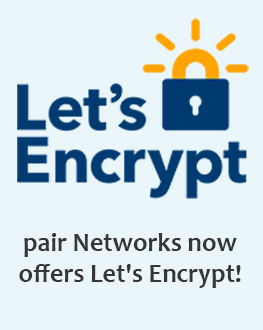 Imagine the person looking to work with a company offering your products or services. Give high-level insight into how visitors can buy-in to what you’re doing to achieve your mission. Similar to your mission statement consider what motivated visitors to look for your online business. When writing fiction, experts discuss the difference between “showing” and “telling”. Think of writing the vision statement as a concise way of showing visitors how you’ll benefit them. The mission statement “tells” the visitor why your products or services benefit them. Incorporating each of these elements in your vision statement is integral in showing the reader how you’ll achieve your mission together. Once you’ve completed your mission and vision statement you’re able to create a memorable tagline. Taglines are short and catchy. They are short, yet emotionally engaging for the website visitor. Depending on the online business type your tagline can be provocative or evocative. The goal is to encourage action which lines up with the vision and mission statement. Incorporating these elements will provide you with the elements of a memorable tagline. Visitors to your website want to know who you are and how you’ll help them achieve their goals. Your mission, vision, and tagline communicate this information. You should display this information where it is easy to find. An “About” page is a great place for your mission and vision statement. Your mission statement can also be placed in the side section under “About” if your online business is a blog. In some instances, companies have placed either the vision or mission statement in the header or footer. Charitable websites and social entrepreneur businesses are known for sharing the mission on each page in this manner. There are several places you can choose to display your tagline. Many websites place the tagline in the header, footer, or both. Based on the length you could also make it part of the logo.